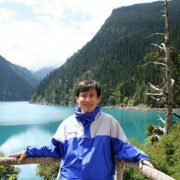 I am a researcher at the Systems Research Group in Microsoft Research Asia. Previously, I was affiliated with the Wireless and Networking Group in MSRA from 2004 to 2010. I received my Ph.D. in Computer Science from Nanjing University. My research interests include distributed systems, mobile systems, Internet architecture and protocols, and wireless media communications. I built a few distributed graph engines, among other things.